Dear Steve, It has been some time I have been inspired by your work and you newsletter is always enlighting, Since awhile also I tought I shall invite you for a Seminar to Morocco, one of the promissing and fast growing countries in north africa, Please let me know if this is something that may appeal to you and fit in your tight schedule, we may aim at a period around next March 2015, PS: our company is MobIT is aiming at establishing a leader consulting position in north africa, and me and my partner are entrepreneurs with previous experience for more than 15 years in Telecom and IT. Reblogged this on sanakundiri's Blog. Hi Steve, great article! 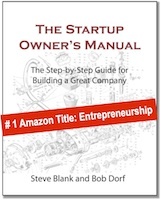 As an entrepreneur and digital marketer, I’ve been reading a lot about business models and product/market fit. Your article provides me with a good framework for planning my projects & upcoming ventures … so thank you! Hey Steve, This is great! 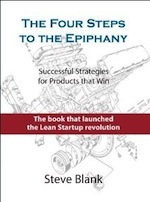 It’s great that the new book maps out how the BMC, customer development, and agile development are linked. Having the tools and experiments with the book is very valuable. Thanks for the article! Very interesting tool! I’m curious whether Business Model Generation would be applicable to Urban Farming business where I am growing organic produce and distributing it to restaurants and grocery stores. I find Alex’s value proposition design tools to be unnecessarily complex and not sufficiently mindful of the classic principles of positioning as described by Al Ries and Jack Trout. 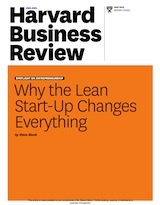 Positioning and the business model canvas are two very, very different things. I’d love to hear more of your thoughts on the distinctions, Steve. 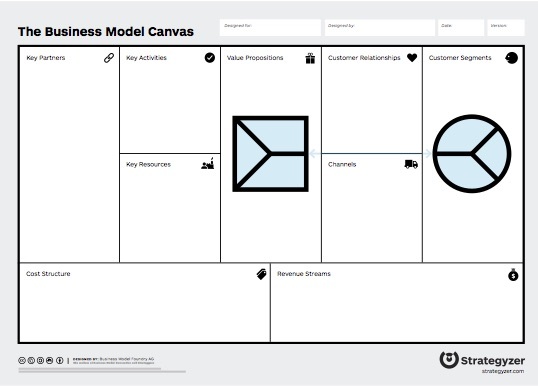 A business model canvas certainly contains much more than just the value proposition(s) for the product. 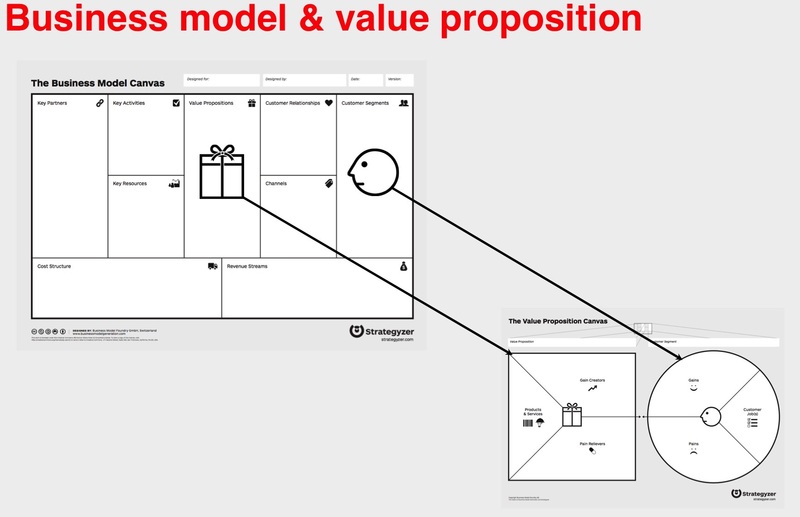 However, I was specifically referring to value propositions and Alex Osterwalder’s tools for designing them. I’ve always operated under the assumption that a unique value proposition in a business model canvas states a form of positioning. In fact, in Ash Maurya’s Running Lean, he explicitly advises filling in that box using the guidelines from Ries and Trout’s classic Positioning: The Battle for Your Mind. I am looking forward to reading the book in detail in the New Year so thanks for sharing this analysis. I am also looking at tools which deal with the other end of the BMC, the mechanics of business activities for different models eg SaaS, eCommerce etc. Any good reads in this area?